Welcome to Day #5 of Chocolate and Almond Theme Week. 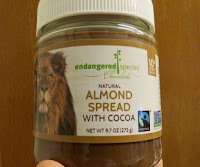 This Natural Almond Spread with Cocoa was from Endangered Species Chocolate, LLC (Indianapolis, IN). 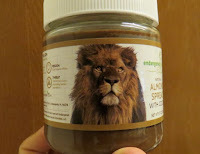 The company is known for their chocolate bars with pictures of wildlife and support for threatened species habitat preservation. Today's jar of chocolate almond spread was adorned with an image of a regal-looking lion. 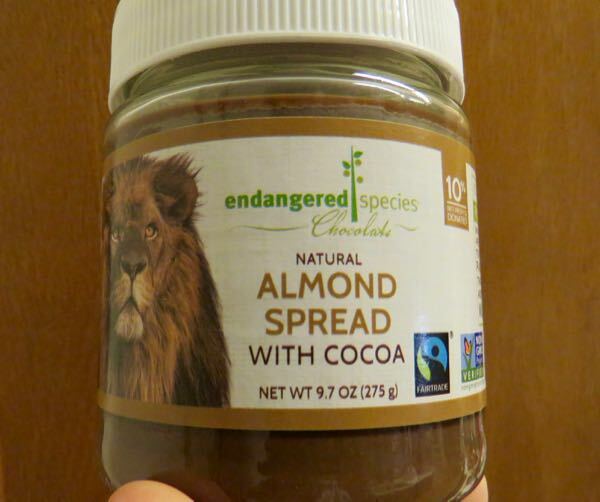 Fans of dark chocolate may find this sweet, nutty spread a little too sweet for their taste. 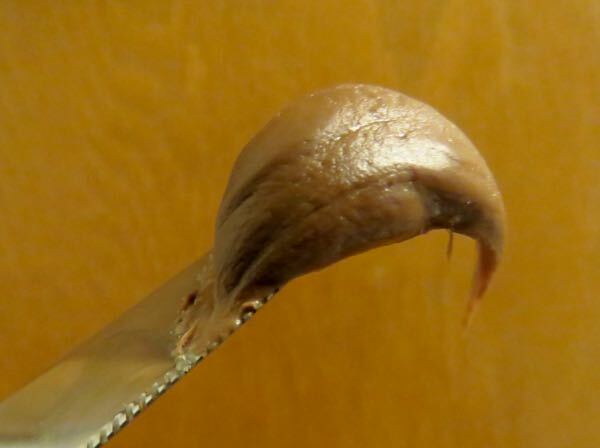 The texture and flavor was in between a nut butter and a frosting. 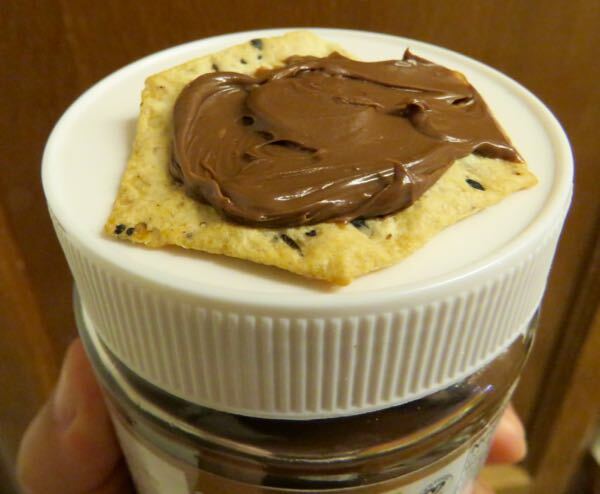 Pairing this with slightly salty or savory crackers or toast seemed to be a good way to balance out the sweetness. Or, going the other way, it might make an interesting (relatively less sweet) frosting layer on a cake, or a mix-in with ice cream.